It even has an open window simulator. Have you ever been to a museum and thought “wow, I really wish my pup was here”? More Than, a British insurance company, encourages pet owners to stay active and spend more time with their furry friends through an initiative called Play More. Instead of just asking pet owners to take a pledge to go outside and play for 15 minutes, the company went a step further. 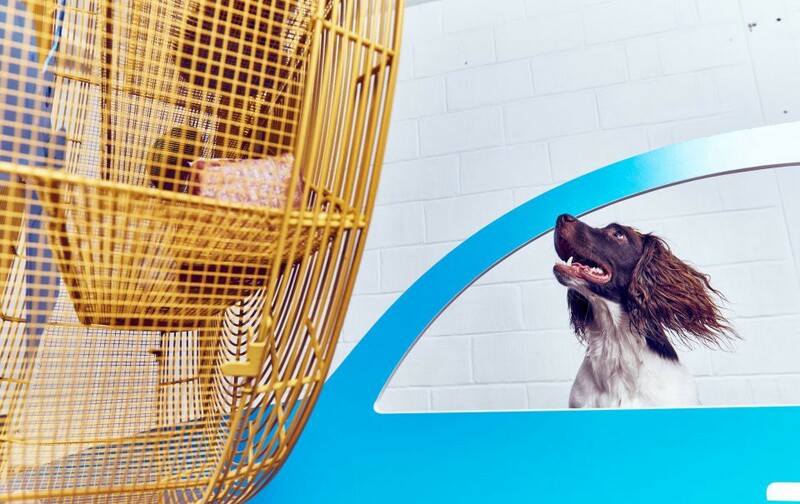 More Than teamed up with British inventor and artist Dominic Wilcox to create the world’s first interactive art exhibit made specifically for dogs. Sure, 2016 has been a tough year, but this is the kind of uplifting stuff we need, no —DESERVE. The museum stimulates your dog’s mental health with eye-level paintings that are specifically tailored for dogs’ sense of shade and color. While keeping their minds sharp, they can still be satisfied with paintings of chicken legs or a virtual frisbee being thrown around on a television screen. The interactive portion of the museum encourages your pup’s physical health. 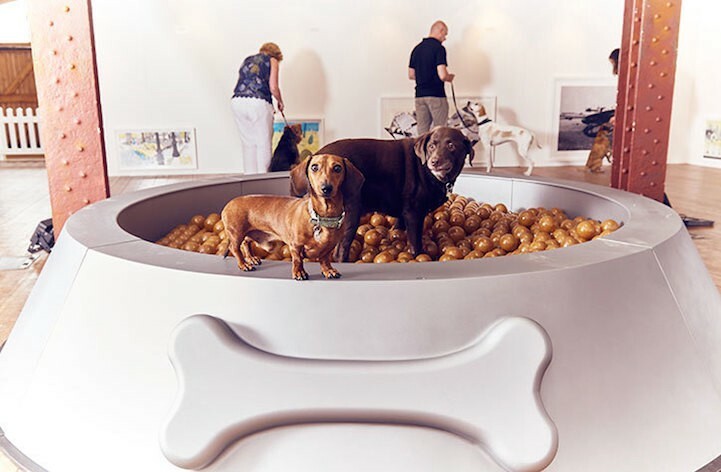 Wilcox created a 10-feet-wide dog bowl filled with brown, plastic balls resembling dog food. The experience is about the same as a hyper-active kid jumping to a ball pit at your local McDonald’s in the 90s. On top of that, Wilcox also created a fountain system that squirts water from one dog bowl to another, allowing your pupper to get a drink—or get soaked. If they need to dry off, they’re more than welcome to go for a drive with the windows open — and by that, I mean with the open-window simulator. Dogs can sit in a cardboard car and have a fan simulate an actual car ride, letting the wind whistle through their fur. The museum’s been a hit with pooches and their owners, which is exactly what the Play More campaign aimed for. 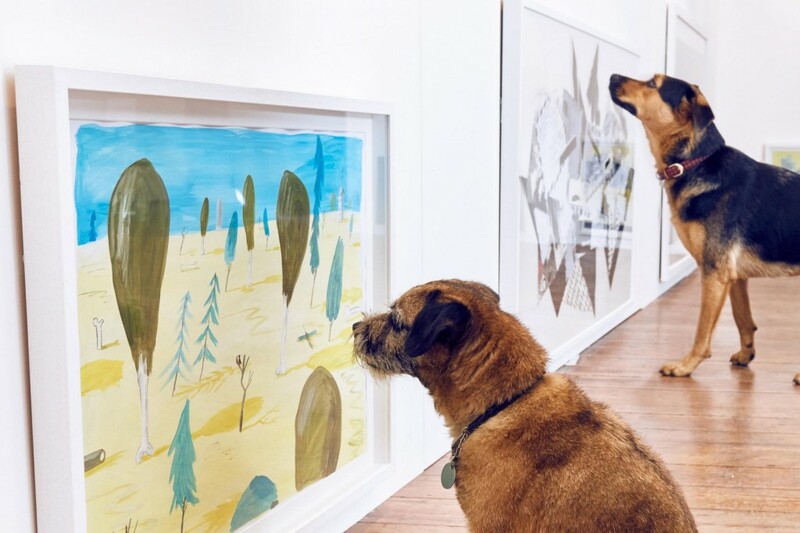 Humans and pets are joining together to not only appreciate art, but to play.